WASHINGTON — With the White House’s fiscal 2020 budget release set for Monday, lawmakers will have plenty of questions for defense and Veterans Affairs officials about their spending plans at hearings throughout the week. Acting Defense Secretary Patrick Shanahan will testify before the Senate Armed Services Committee on Thursday morning in the headline hearing of the week. 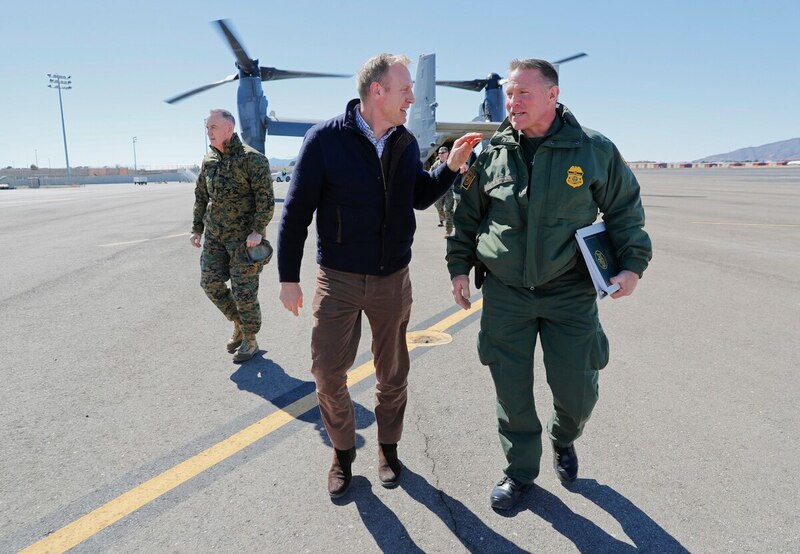 The hearing could be contentious, with a host of questions about both the Pentagon budget plan and President Donald Trump’s intention to tap past military construction funds to build his controversial southern border wall. Air Force Secretary Heather Wilson, who announced her resignation on Friday, will testify before the Senate Appropriations Committee a day earlier, one of several hearings this week focused on the Air Force budget request. Lawmakers are hopeful to keep the annual defense authorization bill process on schedule despite the late budget release. Typically the budget proposal comes out in early February, but the extended partial government shutdown delayed the release by five weeks this year. Administration officials will discuss their request for the fiscal 2020 State Department budget and related foreign operations. The committee will consider several pending nominations, including the nominee to be ambassador to Ecuador and El Salvador. The committees will hear the legislative priorities of seven groups, including the Military Officers Association of America, the Military Order of the Purple Heart, and the Fleet Reserve Association. The committee will hear from VA benefits and cemeteries officials on their budget request for fiscal 2020. Outside experts will testify before the committee on current military personnel policies and potential reforms. Officials from the Defense Advanced Research Projects Agency and Defense Innovation Unit will testify before the committee on artificial intelligence research. Gen. Curtis Scaparrotti, head of U.S. European Command, will testify before the committee on security challenges in his region. Outside experts, including former Under Secretary of Defense for Policy Michele Flournoy, will testify before the committee on the value of the NATO alliance. Air Force Secretary Heather Wilson will testify before the committee on their fiscal 2020 budget request. Outside experts will testify before the committee on U.S.-China competition on the world’s stage. The VA inspector general will testify before the committee on his office’s fiscal 2020 budget request and ongoing work. Outside experts will testify on the potential impact of climate change on future military operations and national security threats. Gen. Paul Nakasone, head of U.S. Cyber Command, will testify before the committee on the fiscal 2020 budget request. The committee will consider legislation prohibiting U.S. military activities in Venezuela without prior congressional approval. Service officials will testify before the committee on their seapower and projection forces budget requests for fiscal 2020. Acting Defense Secretary Patrick Shanahan and Joint Chiefs Chairman Gen. Joseph Dunford Jr. will testify before the committee on the president’s fiscal 2020 budget request.